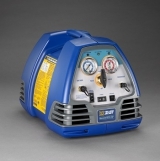 XLT2-AP (made in USA) makes it possible to recover the refrigerant fluids in liquid phase and gas phase. Low pressure bypass for recovery of leak-free systems. Patented single valve control for easy changeover from liquid to vapor to purge. 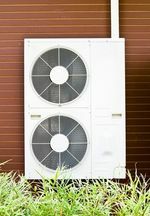 R-450A is a near azeotropic blend containing an HFO refrigerant, designed to replace R-134a in commercial and industrial refrigerators, as well as air conditioning and chillers. R-401A is a zeotropic "service blend", it's use being limited in time by the Montreal Protocol. R-401A is a HCFC developed to replace R-12 (CFC) in domestic, commercial and industrial refrigeration. R-409A is a zeotropic "service blend", its use being limited in time following the Montreal Protocol. This HCFC has been developed to replace R-12 (CFC) for domestic, commercial and industrial applications. R-124 is a transitional " hydrochlorofluorocarbon", its use being limited in time by the Montreal Protocol. This HCFC is particularly suited for air conditioning systems placed in high temperature environments and for energy saving applications. R-142b is a "hydrochlorofluorocarbon" mainly used as a refrigerant in heat pump applications. R-455A is a non-azeotropic (HFC/HFO) blend with a GWP <150. R-404A is a "near azeotropic" HFC blend, especially developed for commercial, industrial and transport refrigeration. R-513A is a zeotropic blend containing refrigerants from the hydrofluoro-olefine (HFO) family. R-449A is a non-azeotropic blend containing refrigerants from the hydrofluoro-olefin (HFO) family.